Rising from the ashes of ‘Jazz At The Waterline’ and ‘Jazz At The Hackney Cut’, both of which had to fold due to venue closure, LUME will brighten up Thursday nights with a new blend of original and improvised music, starting in July. Hundred Crows Rising is a relatively new establishment with a healthy appreciation for stuffed crows. On the corner of Chapel Market, the pub has a great upstairs room that we’re excited to adopt as our new space. We’re looking forward to working with Katy, the owner, to establish what will hopefully become a long-running new addition to the roster of London musician-run jazz/improv nights. We’re really chuffed with the location too; five minutes’ walk from Angel tube. We’ve put together an exciting programme of diverse bands who will be coming to play for us over the next few months, including Esben Tjalve’s Red Kite, Olie Brice Quartet, Liran Donin’s One Thousand Boats, and Tom Ward’s Madwort Sax Quartet. For the opening night on July 4th, we are very happy to be hosting two SE Collective groups: Identity Parade and Redshift. 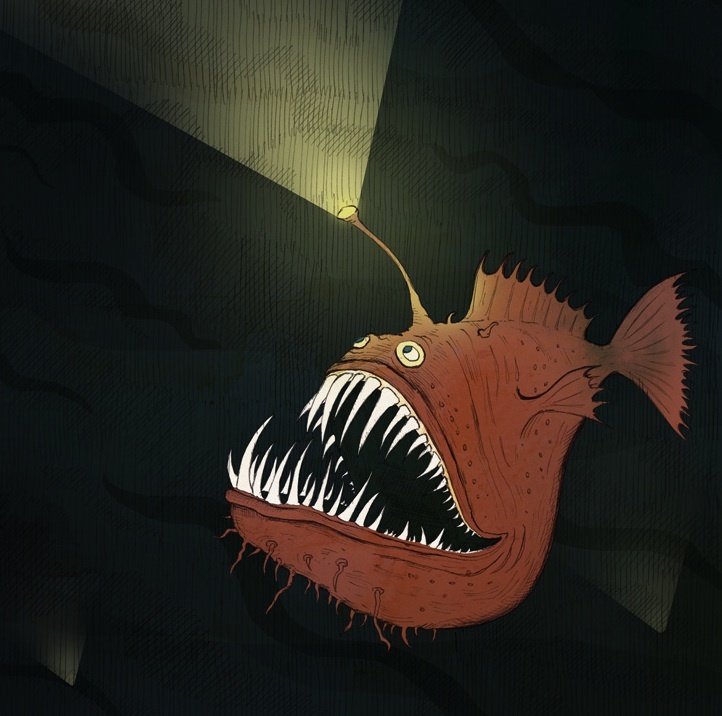 The listings are starting to come together, and one of the best things so far is we have some fantastic artwork by Peter Beatty, including the angler fish below. Full posters and flyers will be appearing soon! This entry was posted in LUME, News on June 13, 2013 by cath. 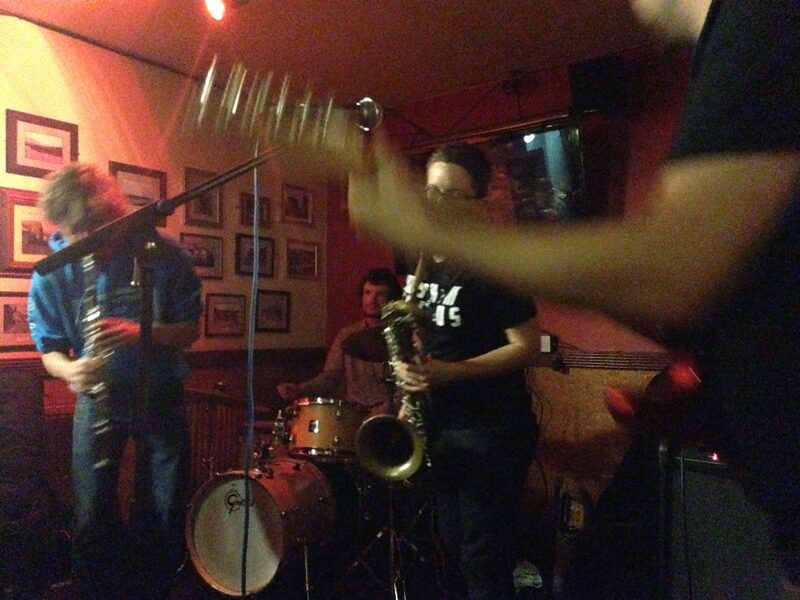 This entry was posted in Gigging, Madwort Sax Quartet on June 7, 2013 by cath. A few new Quadraceratops gigs confirmed, plus MSQ tonight! 1st August at LUME, a(nother) brand new night that I’m setting up with my good friend the sax player Dee Byrne. The gig is upstairs at Hundred Crows Rising, near Angel, in a really nice room where we’ll be hosting great music every Thursday starting July 4th. Should be fun…I’ll do a proper post about LUME soon. 6th October at Jazz at the Union Chapel Bar, a new afternoon gig (3pm) run by the esteemed Mr Andrew Button of The Button Band. This will be the first EVER Quadraceratops afternoon gig! And finally, just in case anyone reads this post straight after I finish writing it, a reminder that Madwort Sax Quartet is playing TONIGHT at Ryan’s Bar in Stoke Newington! 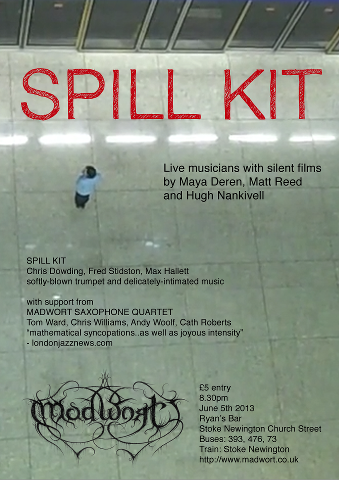 This entry was posted in Flyers and posters, LUME, Madwort Sax Quartet, News, Quadraceratops on June 5, 2013 by cath.